In maharashtra ,there is a tribe called 'warlis'. 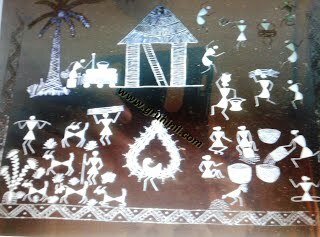 Warli painting is the folkart of warli tribe. 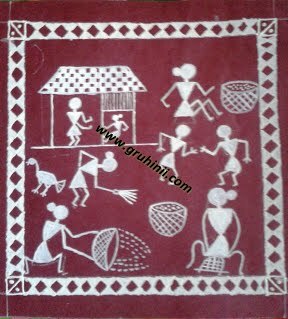 It is the integral part of tribal life.Their cultural life has been depicted in the paintings. 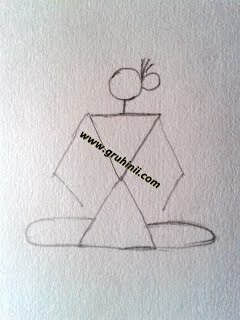 Daily life events , tribal festivals & rituals , dances, wedding ceremony, tribal god-godess can be seen in the paintings. Human and animal figures are represented by 2 triangles joined at the tip. 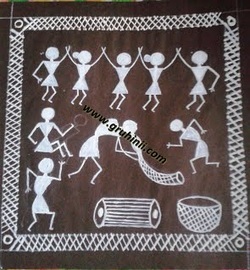 The ritual painting are done on walls of huts. 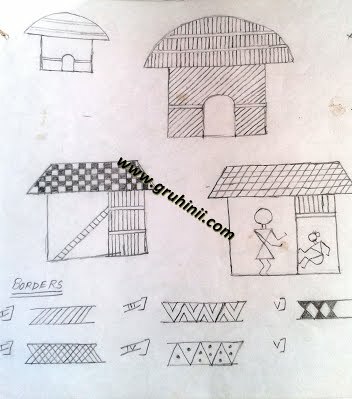 ​The walls are made of mixture of branches, soil, cow dung making red background for wall paintings. 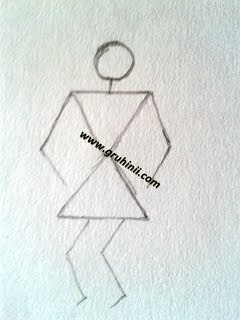 White colour is used which is mixture of ricepaste& water with gum as a binding and bamboo stick as a paint brush. The paintings can be drawn vertically or horizontally.we can see meaningful use geometrical figures like lines dots,triangles,square,semicircle,circle,angles while drawing animal, human figures, houses,trees,and other things in the paintings. These paintings are two dimentional. While painting on a brown or red paper, we can use white acrylic colourand on white background we can use black acrylic colour and paint brush .